Q: Will you try anything new this fall with your strip-tillage plan? 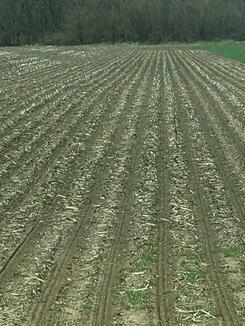 A: I will do implement steering this fall and run vertical tillage before strip-till to help corn stalks decompose. A: It seems like I have a lot less sidewall compaction. I estimate that fuel/labor/equipment savings with strip-till total $90-$100 per acre. Q: What has been your experience with the SoilWarrior and ETS? A: I thought the SoilWarrior was heavier than a competitive machine. It’s not the cheapest, but every time I’ve bought a cheap machine I’ve had to buy a new one in a couple years. I wanted to get set up right the first time and go. I just wanted all blades and a heavy machine I didn’t have to weld on all the time. Q: What tip would you offer to future strip-tillers? A: Set your rows to RTK the year before going to strip-tillage. Get your lines set the year before and don’t be scared of it.